Any film about the Mexican gray wolf will get people excited. The animal is a re-covering endangered species and is in an exciting phase of its life cycle; that of being an animal in recovery. The objective of the film is to introduce audiences to a little known subspecies of wolves that once numbered in the thousands, down to only a handful in the wild before recovery began. They are intelligent, highly social creatures and highly elusive; the Mexican Grey Wolf. The film hopes to explore the conservation efforts involved in bringing this iconic animal to the America Southwest. We would like to be on location at some crucial phases during one year in the management of the Mexican gray wolf. The film is aimed at general audiences, most of whom know nothing about the Mexican gray wolf. 48-52 minutes in length for educational use. Under the right circumstances, a full length feature documentary, targeting a National Broadcast for maximum exposure and awareness. Education in classrooms, including curriculum. Assist with awareness and education with those involved in Mexican wolf recovery. Multi-media outlets for greater public outreach, and understanding of wolves. Bi-lingual narration for the same approach in Mexico to assist with their recovery efforts. Film screenings for public awareness and education across the wolf recovery area. To give back to conservation efforts currently underway to recover the Mexican wolf. In addition to these goals, we are planning to take this film to various film festivals with hopes to reach even more people. These screenings can bring a greater interest, with recognition and more awareness to the stars of our film, the wolves. We are also working towards holding film release events at different Mexican wolf facilities across the country where all proceeds from the event go directly to each facility which hosts a film screening. This is intended to help them with their yearly objectives and daily operating costs, giving back directly to Mexican wolf recovery. Gray Area: Wolves of the Southwest explores the complexities surrounding the Mexican Gray Wolf Recovery Program. Approximately 113 wolves currently roam free, making them one of the world’s most endangered species. Wolves are both adorned and loathed by many, raising the question; “Is it possible for man and wolf to coexist?” What are the real issues behind the recovery of the Lobo? Does science provide the answer? Or do we all hold the key to their future? Through compelling cinematography and dedicated characters, this film will show the story of the Mexican wolf as never seen before. Gray Area: Wolves of the Southwest is more than a film, it is a tool that is designed to help resolve some of the most complex issues surrounding the recovery of the Mexican wolf. Gray Area: Wolves of the Southwest isn’t just a film; it is a collaboration of efforts that hope to give the wolves a successful future. These animals are facing tremendous odds of survival, and we are here to tell their story. This film will analyze the different components of this tale, or shall we say tail, and uncover the spirit of the wilderness that has been missing from the landscape for nearly 60 years. Gray Area will be used in an instrumental approach through an array of media outlets and educational programs designed to instill the truths about the Lobo. Education and awareness are critical in the recovery of any species, and in order for a full recovery to take place for this species, the wolf’s image must be repaired in the human mind before a healthy population can be recovered in the wild. Gray Area will focus on shifting historic ideology to a new understanding; to create a sustainable future for wolves, ranchers, businesses, and outdoor enthusiasts alike, to coexist with this magnificent apex predator. One of the easier ways to film wolves is with the use of trail cameras. TRLcam has graciously donated 3 trail camera systems for our use throughout this film. 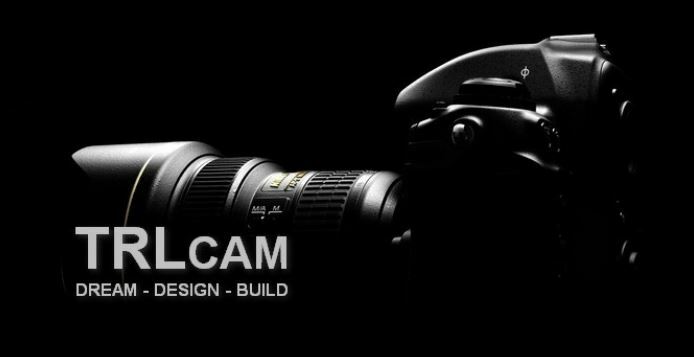 They are a unique company specializing in state of the art technology to capture High Definition footage using the latest cameras available on the market. We are proud to use their systems in producing this film. You can check them out at http://www.trlcam.com/ to find a system that works best for you or your production. We have already begun filming, but we can only complete the film with your support. You can help us give the Mexican gray wolf a voice — through the story of Gray Area: Wolves of the Southwest. Please join us, and help make a difference in Mexican wolf recovery. To make a tax-deductible donation towards this film, please click the donate button below. This will take you the Wolf Education and Research Center's donation page. Simply notate your donation towards Gray Area and we will receive your support.